Stay at this sophisticated and gorgeous hotel located in the heart of the city. The Primero is a swanky accommodation in Heritage City in DLF Phase II, Gurgaon. The nearest metro station, at walkable distance, is MG Road metro station. IGI Airport is a drive of around 27 minutes from here. Attractions close by are Kingdom of Dreams, Iskcon Gurgaon and more. This elegant property is well-furnished and smartly done. The interiors, decorated in white and browns, are minimalistic yet classy decor style. 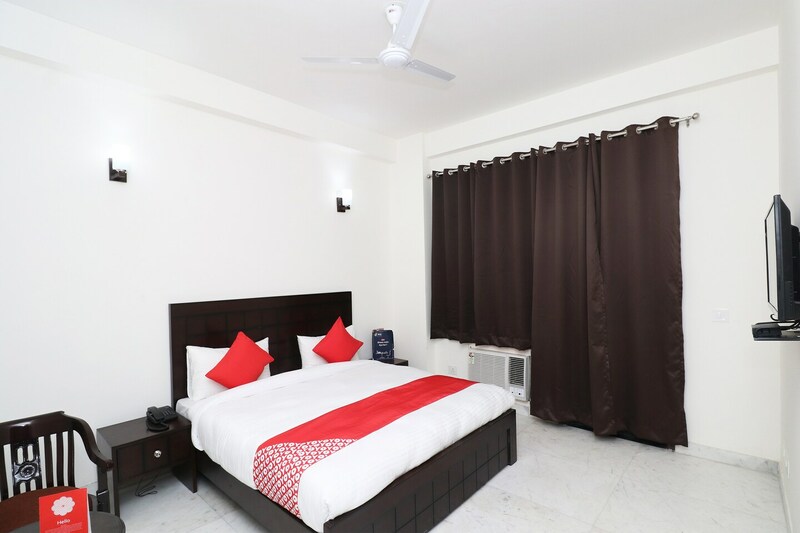 Each room is equipped with AC, TV and Wi-Fi. Other amenities include laundry services, power backup, kitchen, CCTV surveillance, card payment, dining area and an in-house restaurant.